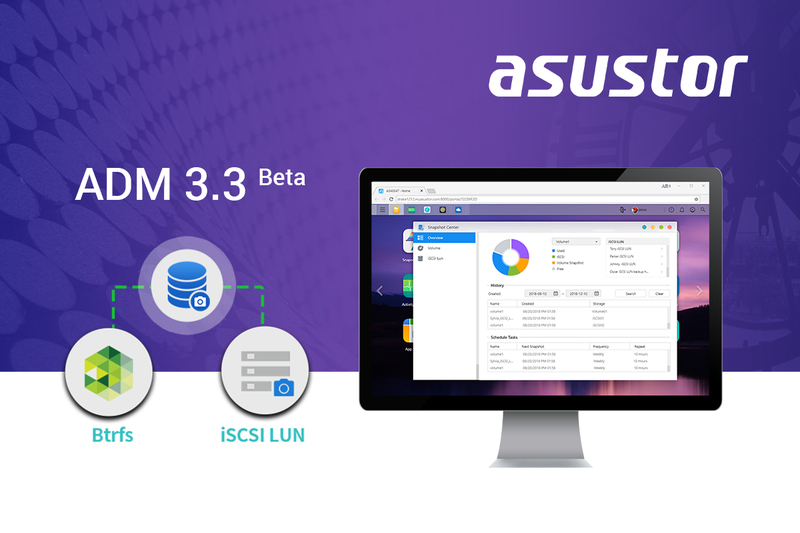 ASUSTOR Community Forum • View topic - ADM 3.3 Beta is here! ADM 3.3 beta program is open today! What's new in ADM 3.3 beta? Supports mounting previous snapshots in File Explorer to view older versions and improve user flexibility. ASUSTOR's iSCSI LUN almost-instant snapshot creation feature saves a lot of work time and storage space. After upgrading to ADM 3.3 beta, this feature will be merged into Snapshot Center, allowing users to manage, browse, and restore snapshot tasks in the same interface.